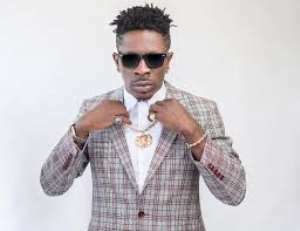 It was a night of bliss and fireworks at the Commonwealth Hall Artist Night on Saturday night when Dancehall king, Shatta Wale mounted the stage and performed for hours nonstop. The controversial musician arrived just on time at the Commonwealth grounds at the nation’s premier university, University of Ghana, to a packed house numbering hundreds of people who witnessed another history in the making as Shatta single-handedly performed his back to back songs. Despite receiving a bad sound at the initial stages of the performance, the musician did not back off or complain as was expected of him rather he kept performing till the sound got better, that was when he set the place ablaze performing his hit tracks.